James Clapper, Director of National Intelligence, has assured the American public that PRISM doesn’t collect data on U.S. citizens. Assuming it’s the truth, this may placate some of the concerns in the U.S., but what about members of the international community? Is a foreign government spying on your communications any better? Initially leaked by former NSA contractor Edward Snowden, the U.S. government has since confirmed the existence of PRISM, and attempted to clarify the nature of the program. 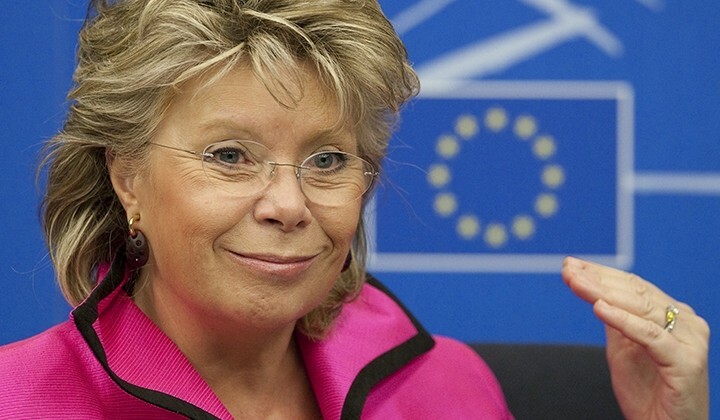 Reding introduced proposals to the E.U. in 2012 that sought to make it more difficult for foreign judicial authorities to obtain data about E.U. citizens, reports Reuters. However, concern about straining the relationship between the European Union and the United States during free-trade discussions happening at the time diluted the proposals enough to effectively kill them. Officials in the E.U. have for years sought information about data collection and how the Patriot Act and Foreign Intelligence Surveillance Amendment affect E.U. citizens and companies. The controversy over PRISM may finally reveal these data and privacy practices held by the U.S. government.